Throughout history, music has been used to enhance poetry as an art form, emphasizing its rhythmic ebb and dramatic flow. 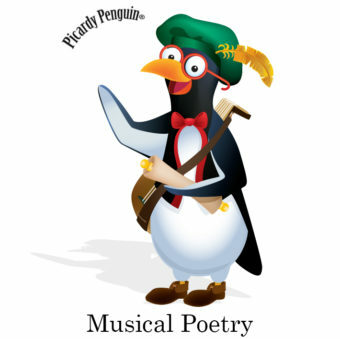 Picardy Penguin will lead audience members as they sing the oldest musical round, “Sumer Is Icumen In”, feel the chill in Vivaldi’s “Winter” from The Four Seasons and delight in “Behold the Bold Umbrellaphant,” a musical setting of 17 different characters created by Children’s Poet Laureate, Jack Prelutsky. And, once again, Picardy’s theme song, “Music Can Make Your Life Complete,” frames the show with audience participation.